With the holidays upon us, many who don’t usually entertain are now gearing up for guests. This recipe is absolutely delicious and sure to please a crowd. Pork is a popular choice for feeding a crowd, often in the form of a ham. I prefer to serve loin or tenderloin because it is easier to carve and isn’t so incredibly packed with sodium. Do read the packaging when you choose your meat though — most grocery store butchers sell a selection of loins that have already been seasoned or are treated with a sodium solution to help them “retain moisture”. With this recipe you don’t want that added seasoning and you won’t have to worry about the pork drying out because the tasty crust locks the moisture in. 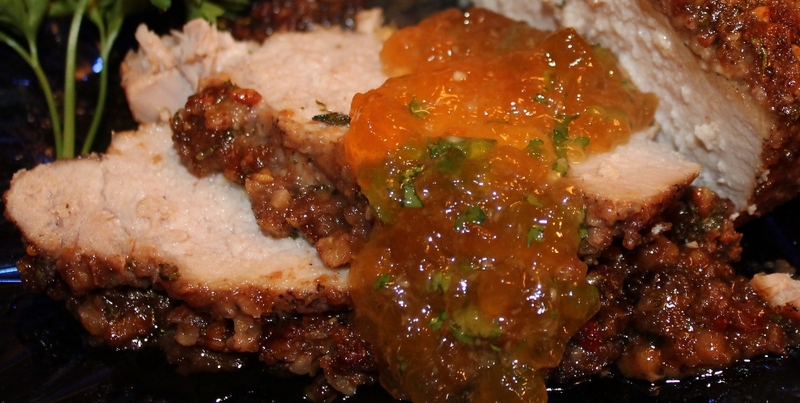 The pork topped with the delicious peach horseradish sauce. Tenderloin is my favorite cut to use for this recipe. It it normally well trimmed of excess fat, and all you may need to do is remove the silver skin. If you end up with two very narrow pieces of meat, you can press them together when you add the breading and treat it like one, larger piece of pork. Or, if you prefer, you can cook them separately, crusting each (and adjusting the cook time to reflect the narrower diameter); then you can serve your guests smaller, medallion size pieces. 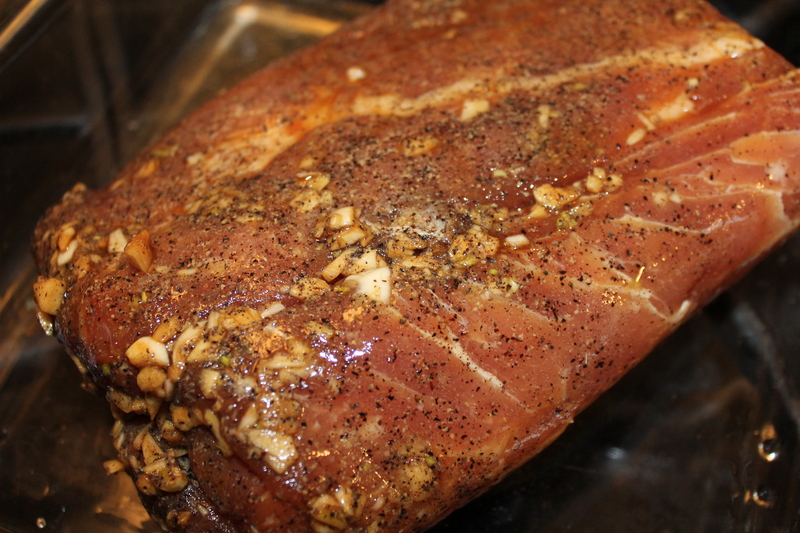 If you end up using a pork loin instead, it is a far more economical cut of pork. Trim away excess fat and silver skin before marinading. Often much of the fat can be easily pulled from the exterior. Be sure that the loin you buy is boneless if you opt to go this route. 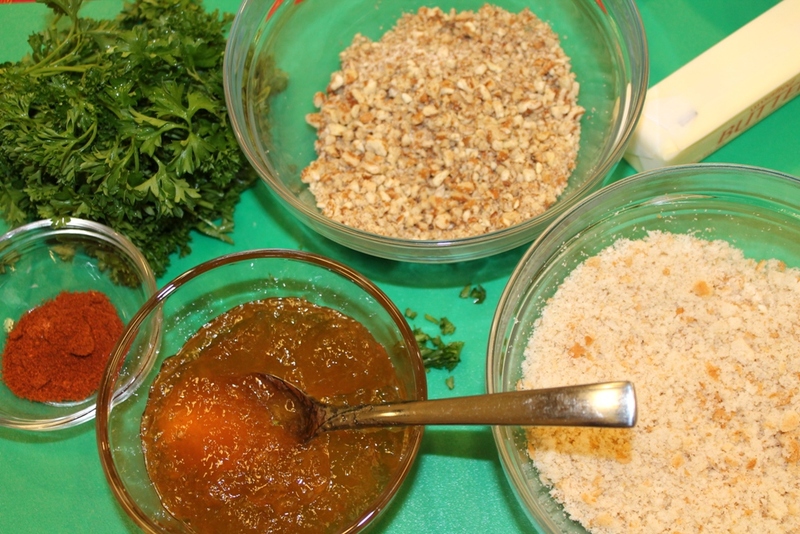 Pecans, soft bread crumbs, peach preserves, paprika, parsley, and butter combine to make the crust. Though the official USDA recommended temperature has changed through the years, the National Pork Board now states that at 145°F pork is done (unless the meat has been ground). This recent decree is a much lower temperature than what we were taught in the past but the pork we have available now is more lean and dries out more easily,. It is wonderful that the USDA is finally condoning what many chefs have advocated for years. This handy chart can be helpful in determining how long to best cook each cut of pork. 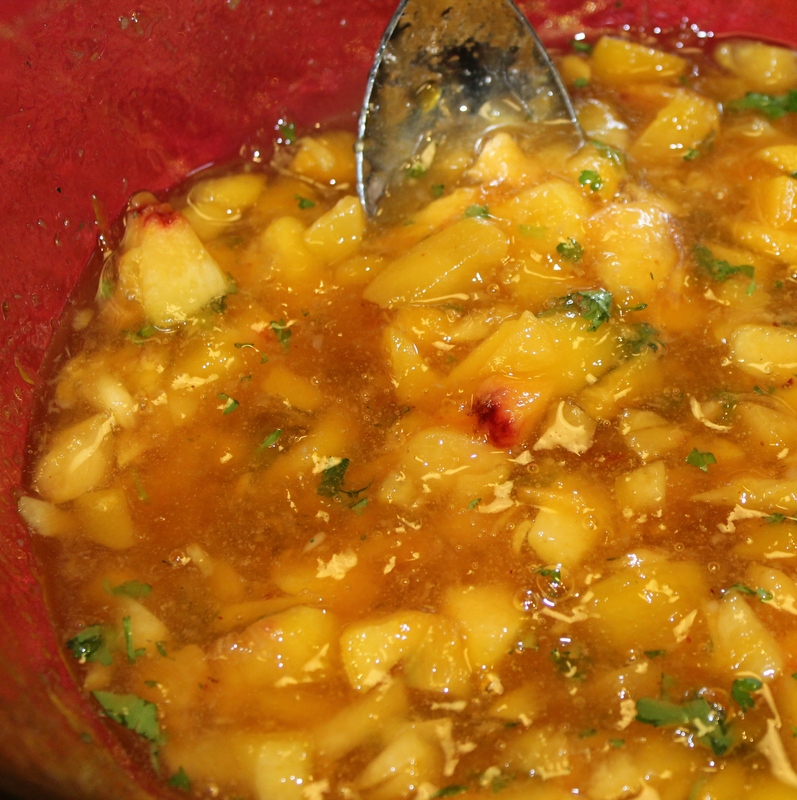 Just 4 easy ingredients combine to create this amazing sauce! When shopping for the sauce ingredients, be sure to get plain prepared horseradish or make your own. You do not want to make this with the “cream style” horseradish that is easy to confuse with this. For the preserves, it would be best to make your own during the height of the peach harvest; but if you don’t have a jar or two tucked away, choose the chunkiest- fruitiest jar you can find. If fresh peaches aren’t in season, you can use frozen or re-constitute some dried apricots and add them to the recipe.